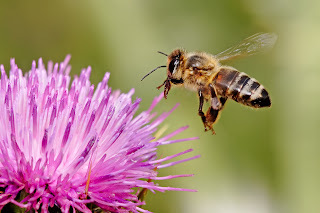 Animal Wildlife | Honey Bee | The honey bee is a small sized bee that inhabiting quiet forests, jungles, meadows and gardens all all over the world. There are only 7 recognized species of honey bee out of 20,000 different bee species found worldwide, but these individual species often contain their own subspecies. 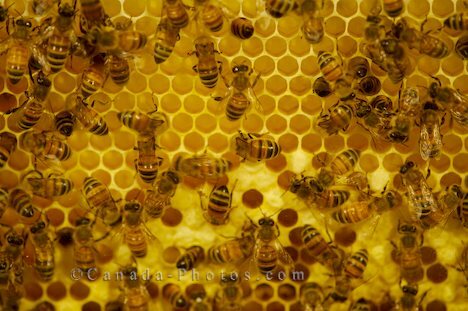 There are 44 known subspecies of the 7 species of honey bee. The honey bee is primarily involved in the production of honey and is today found worldwide. The honey bee is thought to originate from the jungles of south east Asia, where wild honey can still be found and the honey bee eventually took up residence in numerous countries. 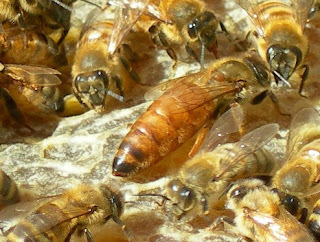 The honey bees build and inhabit a hive, run by their female queen honey bee who populates the hive. The honey collects nectar from flowers which it takes back to the hive to be turned into honey. At the height of the summer, over 40,000 honey bees can be found inhabiting just one hive. Honeybees communicate with each other through 'dance language', which consists of movements made by the honey bee's tail. Honey bees primarily use this form of communication to warm other honey bees of oncoming danger. The honey bee is a herbivorous animal and therefore lives purely on the nutrients from plants. 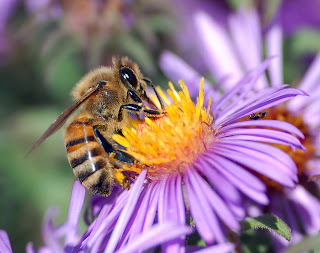 Honey bees prefer to ingest the sweeter plant produce such as nectar, pollen, fruits and even honey. 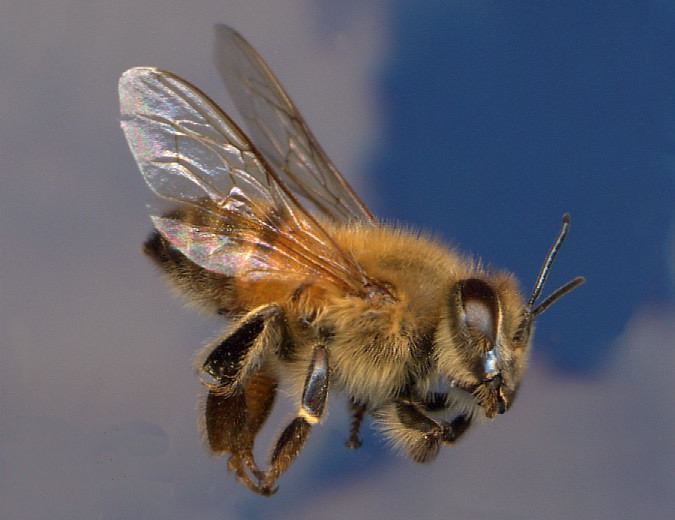 Due to their small size, honey bees have a number of predators in their natural environment. Birds, small mammals, reptiles and other insects are known to prey on the honey bee and larger mammals such as bears are notorious for destroying the hive of the honey bees in order to eat the honey inside. The queen honey bee is the one who lays the eggs. She lays her eggs in a round-shaped mound that she then seals with wax. When the baby honey bees (larvae) hatch they are forced to eat their way out of their sealed dome. 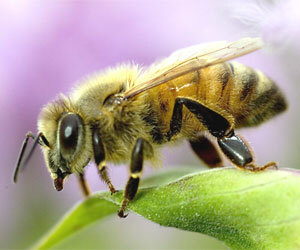 Honey bees are known to play a valuable part in the eco-system as around 1/3 of what humans eat is pollinated by bees. It is estimated that around 80% of the world's crop species are dependent on the pollination by bees to survive. Sadly due to high pollution levels and habitat loss, the honey bee populations are rapidly declining with the honey bee being one of the few insects that is classed as being endangered and is therefore severely threatened with extinction. Human beings do not give bees the respect they deserve, as honey bees are vital to the survival of plants which are in turn vital to the survival of humans. 0 Response to "Honey Bee"